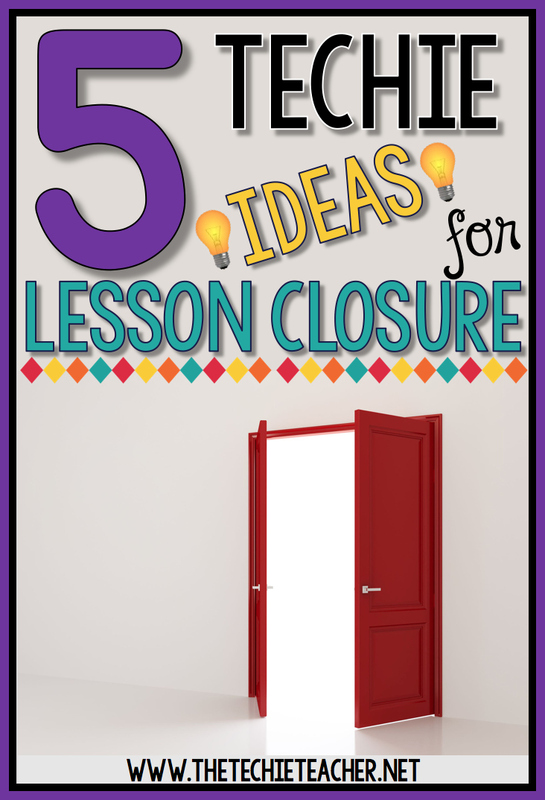 5 Techie Ideas for Lesson Closure | The Techie Teacher® . 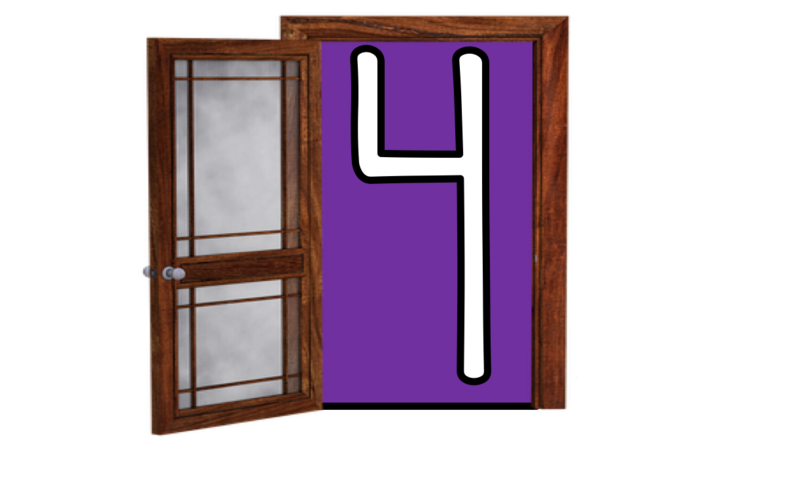 Closure is one of the most important components to a quality lesson. It is also the one lesson component that many of us tend to leave out since we are constantly racing the clock. 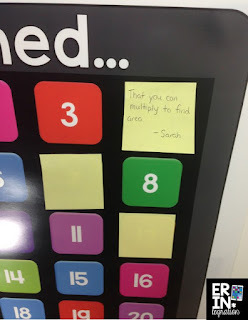 I can't tell you how many lessons I have had to end abruptly because I didn't anticipate having to reteach the concept a million different ways, we were late to lunch, a surprise fire drill popped up, a parent walked in unannounced needing to talk to me (that was always my favorite), etc.. Sometimes lesson closure just doesn't happen. 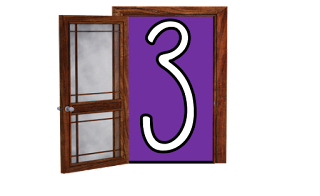 However, when the chance arises, we need to capitalize on wrapping up and reflecting the last few minutes of the lesson in a variety of ways. During my first year teaching I was partnered with an incredible veteran teacher, Debbie Goodrich, who served as my mentor. I could not have asked for a better mentor. She truly taught me so much more than one could ever learn in Elementary Education classes. 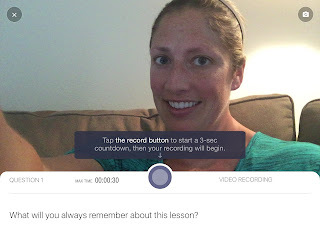 I remember vividly a day when we sat down to write a lesson plan together. She told me that one of the most important components to a lesson is the closure piece. 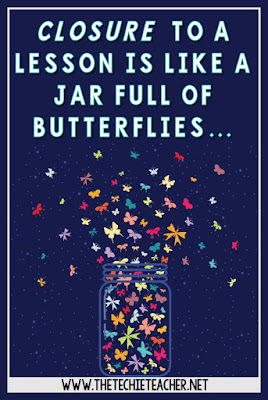 Debbie told me to think of lesson closure like a jar of butterflies. If you quickly put a lid on the jar, all of those beautiful butterflies will stay inside. However, if you leave the lid off, all of those beautiful butterflies will fly away. The jar of butterflies was a metaphor for the information delivered during a lesson to a child. 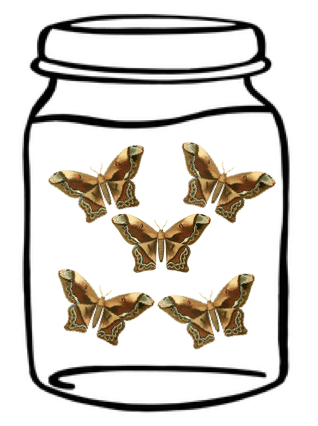 To this day I see that butterfly jar image in my head every time I think about lesson structure. POWERFUL! I was really good about lesson closure my first year teaching. After every lesson was complete, I would have my students take out their journals and respond to a wrap-up question that I would write on the board. I mean, I was really good at this lesson closure "thing". I was SO good that my students quickly decided that they didn't like to write anymore because I required them to write after every lesson. They hated lesson closure. Boy times have changed since that first year of teaching! I have experimented with all sorts of different types of lesson closures and I find that students just like fun and fresh ideas, not that same mundane activity over and over again. So, for you tech lovers, here are 5 E-A-S-Y lesson closure activities that will help keep those butterflies in the jar while making your students engage in meaningful reflective practice. 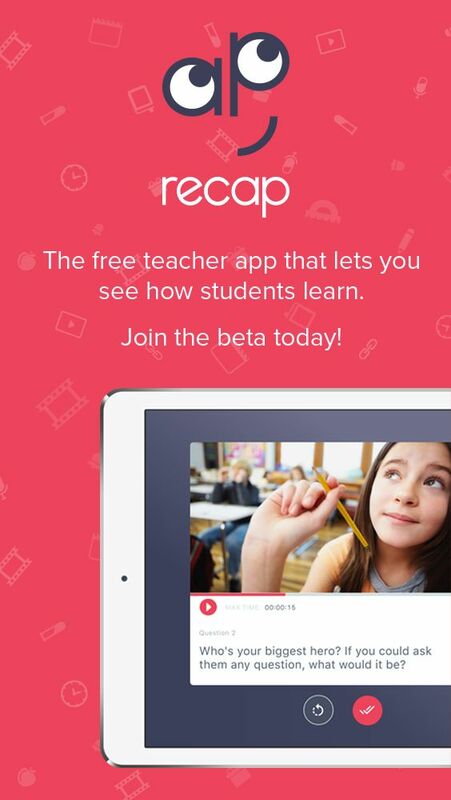 Recap is a brand new & FREE web tool AND app that students use to respond to a prompt provided by their teacher through a video recording. 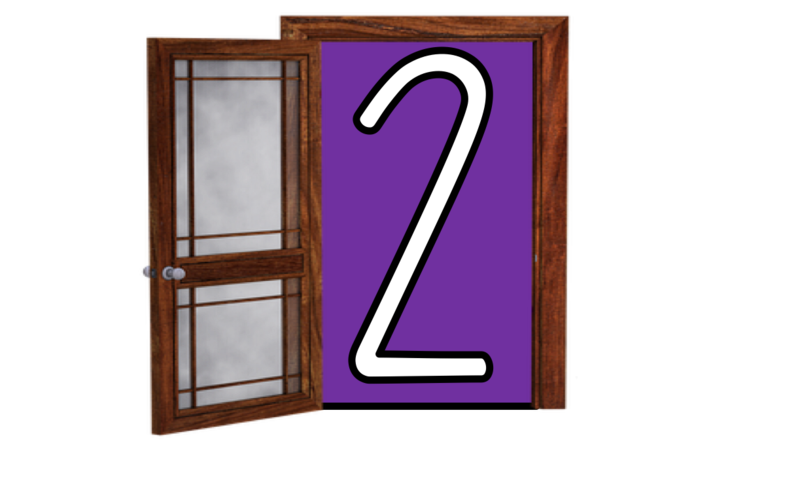 This easy to use and intuitive tech tool is pretty amazing. 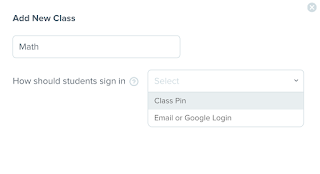 Students sign in with a simple code, view the question the teacher provides, record, and send their video to the teacher's dashboard. 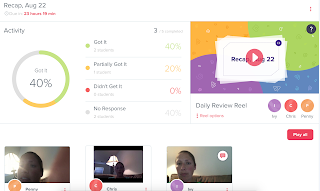 The teacher can share individual responses with other students, parents and educators, or show a daily review reel in class. This would be an incredible tool to wrap up a lesson while having your students engage in reflective practice! 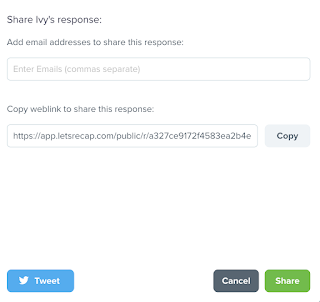 To get set up, visit https://letsrecap.com/ and set up a free account. 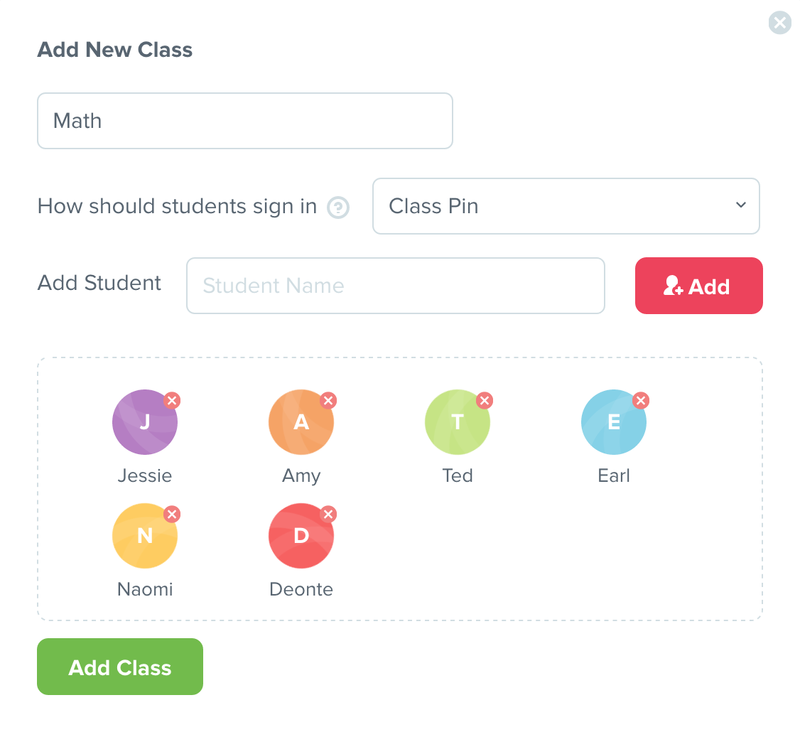 Name your class and decide how you would like students to sign in (I find that class pin is easiest for younger children). Add students. Click Add Class. 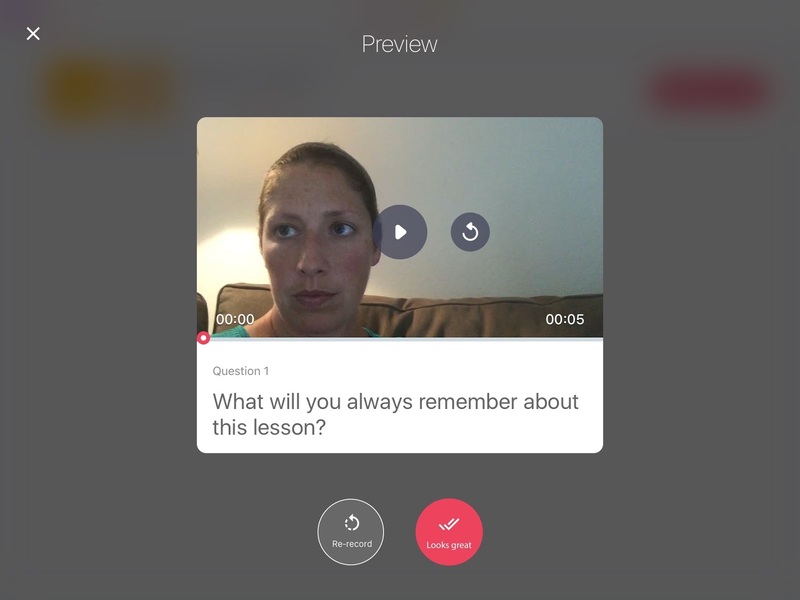 Type the question you would like your students to respond to in their video reflection. Click Next. 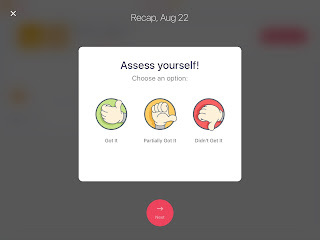 Decide on a recording limit, due date, which class(es) you are assigning that question to as well as if you would like to include an "Assess Yourself" poll. Click Send. 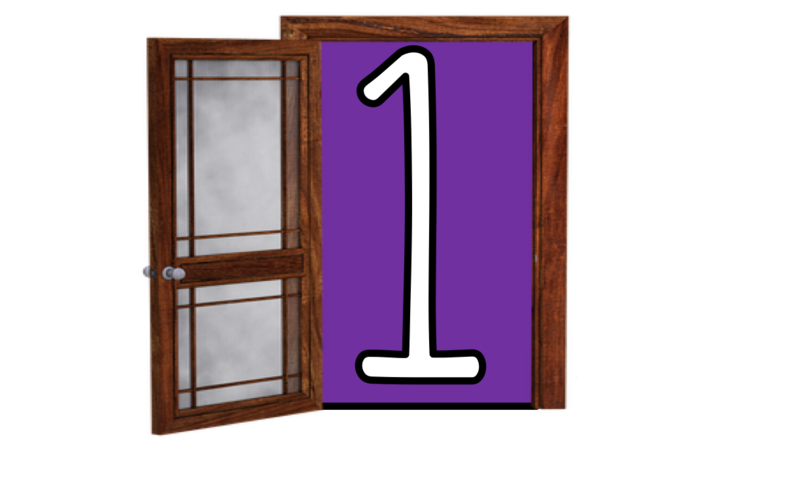 After you complete the steps above, you will be ready for students to do their recordings. 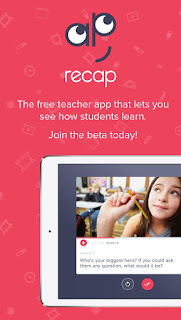 Your students can use the free iPad app, Recap, or they can visit the website: https://app.letsrecap.com/student/login. 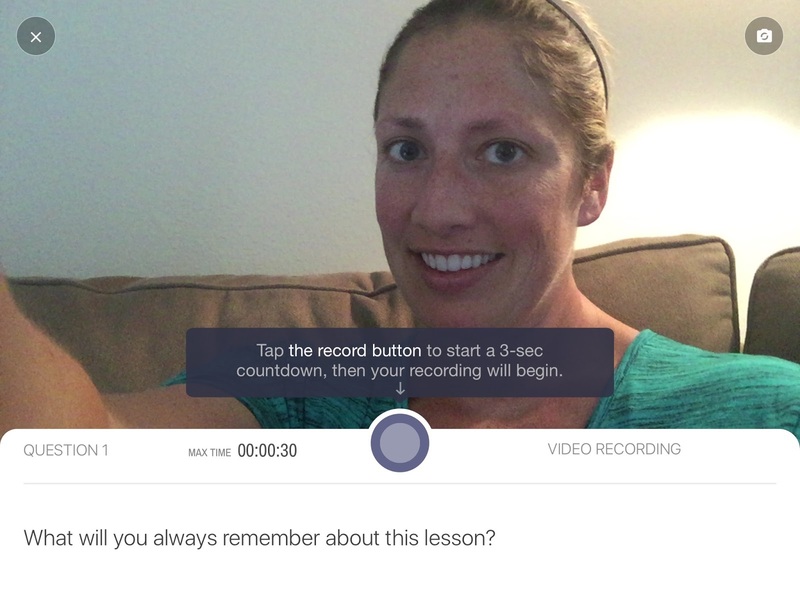 Students will see your question and when they are ready, they will press the record button. A 3-2-1 countdown appears and then recording is in progress. 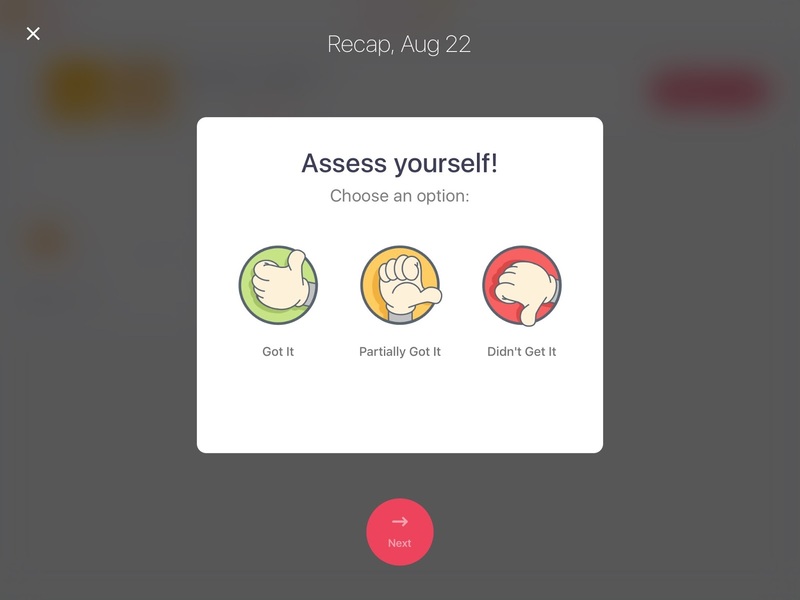 After students press stop, they have the option of previewing, recording or continuing on to submit. 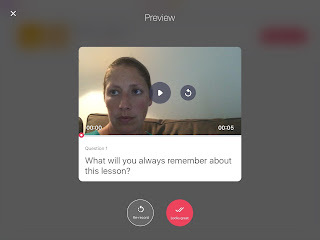 Once they press Next, the video is sent to the teacher's account. Note: I had to refresh my page before I saw any videos pop up. 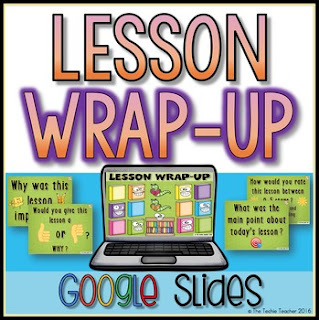 To go along with Erintegration's exit slip posters, I have two different Google Slides presentations that contain lesson wrap-up reflection questions. 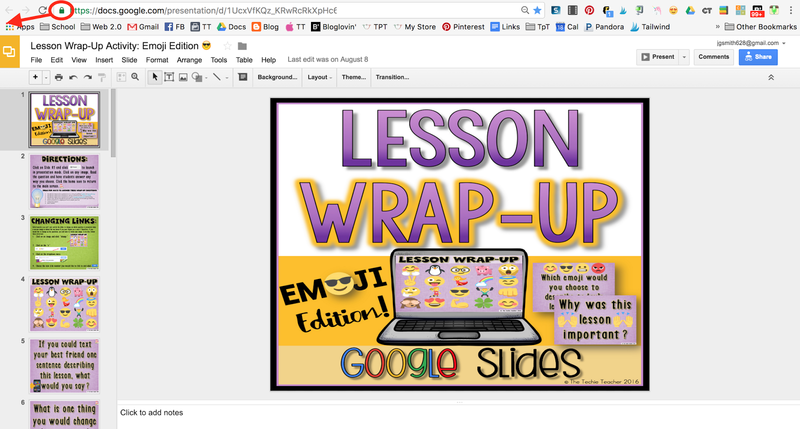 Project this presentation, have a child click on an emoji (from the Emoji Edition) or a book (from the Standard Edition) and a wrap up question is revealed. 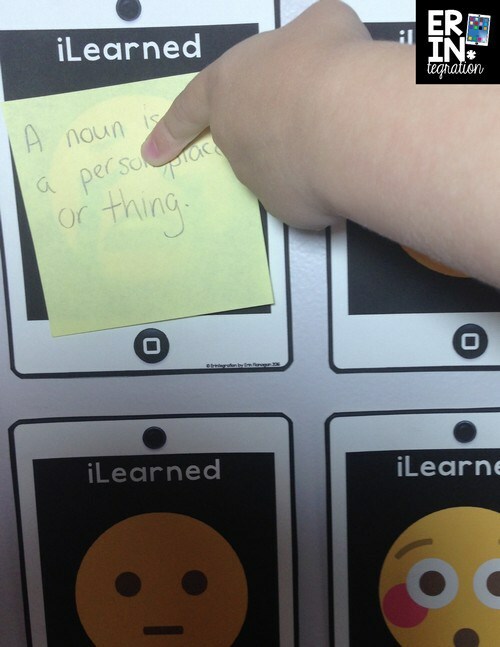 Students could write their response on a post-it or any digital tool of your choice to submit! 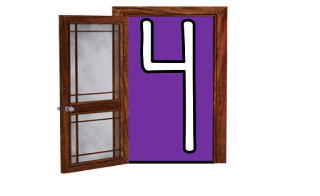 If you are running out of time then just have students turn and talk to a friend. If you choose to use this presentation often and need to access it quickly, I suggest bookmarking it or making a shortcut on your desktop. 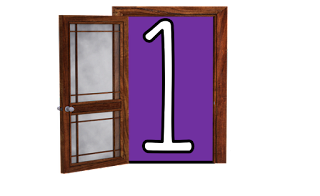 That way it is right there, a click away, when you are in a time crunch. Drag and drop the little lock icon next to the url onto your desktop. If you have access to iPads, take the url to your Google Form and turn it into a QR code for students to quickly scan and access your wrap-up form. 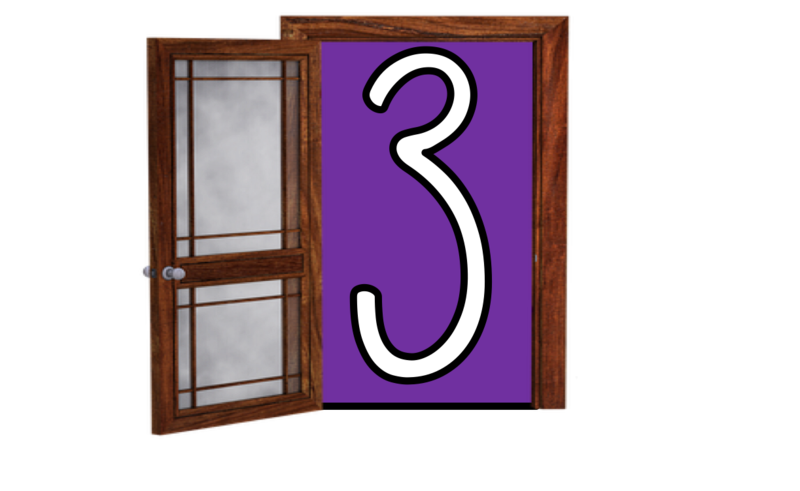 Use a virtual collaboration board for students to post closure question responses. 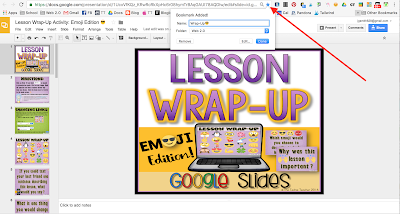 Padlet, BoardThing, Lino and Stoodle are all tools that will work on any device that has a web-browser. 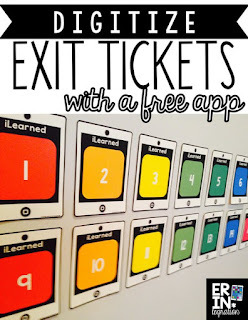 Your students will be so curious to read what their friends write so think of this as an instant lesson review! There they are folks! 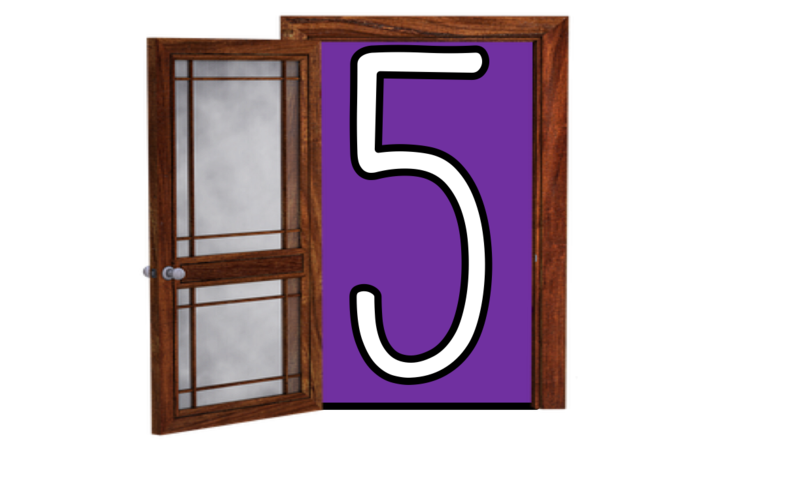 5 techie ways to add closure to any lesson. 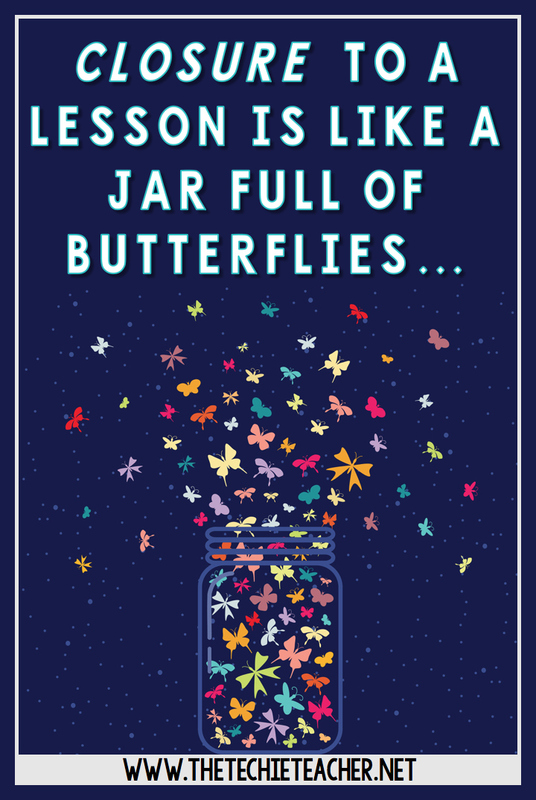 Don't forget how important it is to put the lid on your jar full of butterflies! 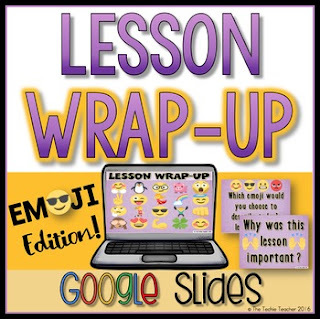 Thank you so much for sharing all of these great ideas for wrapping up a lesson. When I clicked on the Google Form it brought me to the Google Sheet of responses. I was unable to find "view live form" anywhere. 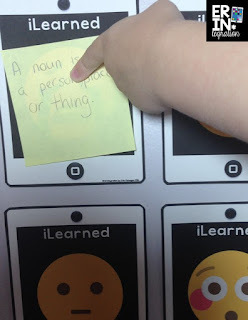 I really want to use this form with my firsties as a way to gather student voice data. Thanks so much for sharing and for your help! I just tried to access your google form mentioned in this post. It says it no longer exists. Is there any way I can get access to make a copy? 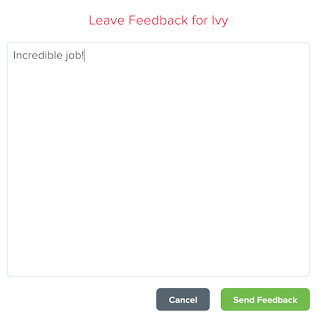 I also just have the text response and could not find the form>live form. Hi Angela! I mention in the post that the link will prompt you to make a copy that will take you to the response spreadsheet. 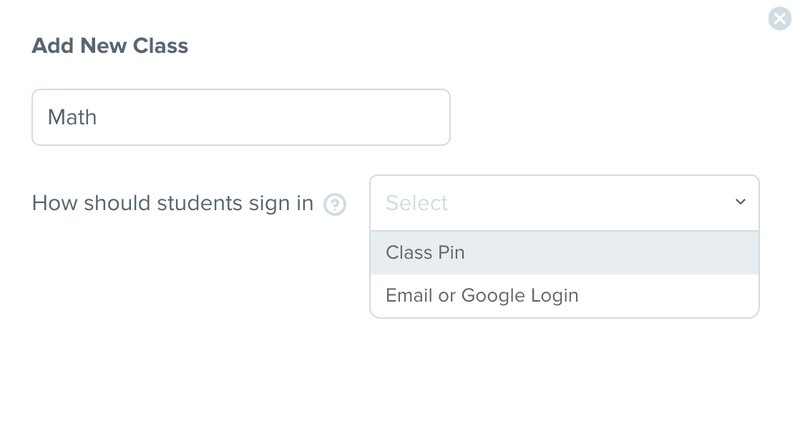 To get to the form, go to Form>Go to Live Form in the toolbar above. Does that make sense? That is the only way that Google Forms can be shared so that everyone's responses don't end up on the same spreadsheet. Thank you so much for sharing this!! I have copied the Lesson Wrap-Up Google form and it works perfectly! Great post! Thanks for the Google Form. Having emojis can really make a big difference!